In Kosciusko, the county of 100 lakes, boaters rule the water. 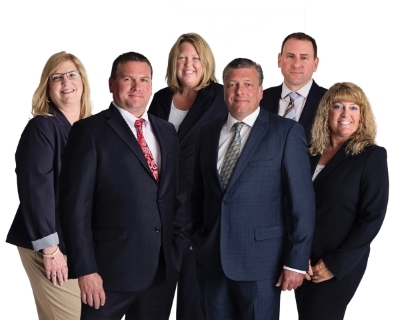 Tripp & Associates Insurance Agency serves Warsaw, IN and surrounding areas, including resort towns like Winona Lake, which are havens to watercraft and water sports enthusiasts. As boat owners ourselves, the agents at Tripp & Associates Insurance Agency are committed to protecting this carefree way of life by providing insurance for your boat. We also insure all the other equipment that adds to summer fun, including golf carts, jet skis, and other recreational vehicles. Many boaters believe that their homeowners’ policy will provide coverage for their boat. While there are some very basic coverages that extend to a watercraft, such as liability, these coverages are limited to boats that have between 25-50 horsepower. Actual damage to your watercraft is often excluded from being claimed on a homeowners’ policy. The best way to cover your watercraft is with a boat insurance policy, which one of our agents will happily quote for you. Different levels of boat insurance coverages offered at Tripp & Associates Insurance Agency include replacement watercraft, agreed value and guaranteed value policies. Additional coverage is also available for fishing equipment, trolling motors, radios, cameras, cell phones, life jackets, ropes, buoys, medical payments for skiers, and more. We work with carefully selected carriers that offer specific coverages and discounts especially beneficial for boat owners. For example, we can find policies that offer coverage for lower units (outdrives) of outboard motors in the event of mechanical breakdown. Without insurance, this can be a very expensive repair. Wreckage removal is another common coverage that is not covered by a homeowners’ policy. Our goal is to educate our clients, so we work with carriers that encourage boat owners to use their insurance policies in the most efficient way. For example, one common misconception is that it’s good practice to cancel boat insurance policies during the winter months. We advise our clients against leaving themselves unprotected in this way. To make maintaining protection easier and more affordable for clients, we’ve chosen to work with carriers that offer incentives for keeping your policy active all year, such as renewal or longevity discounts, disappearing deductibles, deductible waivers, and other added coverages. Even if your boat’s not on the water, it can still sustain damage or be subject to vandalism in storage. Tripp & Associates agents get to know you and how you use your boat in order to create a policy that fits your needs perfectly. One question we always ask is where you moor your boat during season and where it’s stored during off-season. If they’re separate locations, we review the benefits of a standalone boat insurance policy, which generally provides broader coverage that is not limited by the boat’s location. This can be an area of coverage gap that arises when you use your homeowners’ policy for coverage. We also like to ask the primary usage of the boat (fishing, skiing, residence, vacation, etc. ), where it is primarily used, and if it is trailered to other lakes, towns, counties or states. We also help you protect your content by learning about what types of items are kept in the boat, like ropes, life jackets, fishing equipment, extra motors, and more. All of these facts help us create a policy that covers every aspect of your boating experience. To review your boat insurance options with fellow boaters, contact us or request a quote today.